Not sure its legal to put on more than one forum but it sure is the highlight of my '08 forgive me for doing a couple posts to pumped to stop. Story on PowWow. Used Bear 65# Super Kodiak with bow hush and wooden arrows( made by Guru bought through St Jude.) tipped with WW's. 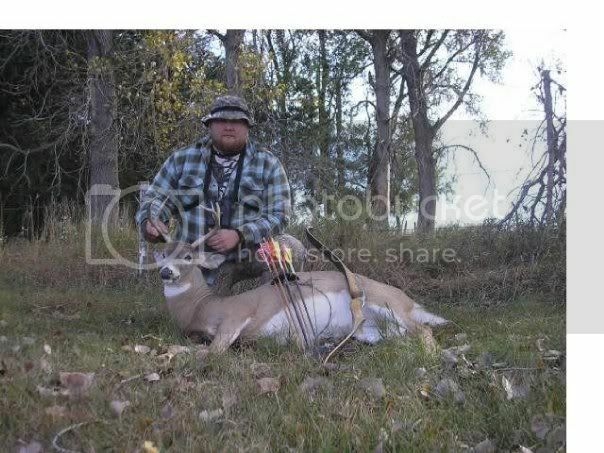 Nothing wrong with being pumped up on a great deer!! Congrats!! I agree. I would be excited too. Good work. Well done and that's a sweet looking bow too! 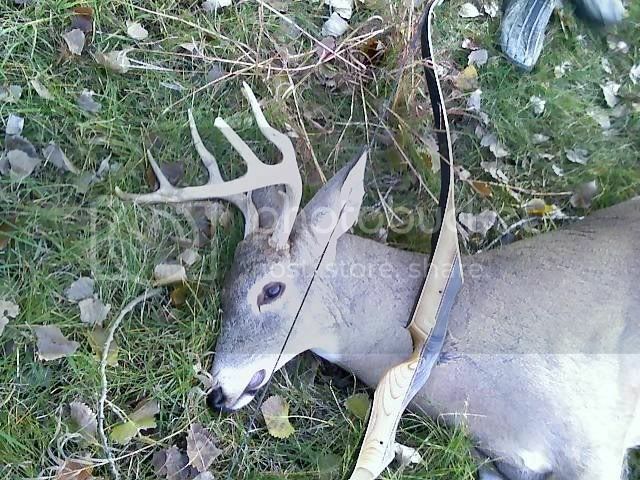 Great job, fine buck indeed!! Congrats. GREAT DEER, AT A BOY FRED BEAR. No worries on posting in more than one forum!!! Nice Going.Another Tradarcheryholic joining the ranks. Great Job! My first one is still walkin around out there. Great job. Congratulations to ya!